Walking down Oxford Street on a warm day makes the claim that it is sometimes the world’s most polluted street seem believable. This, of course, is difficult to prove or disprove. 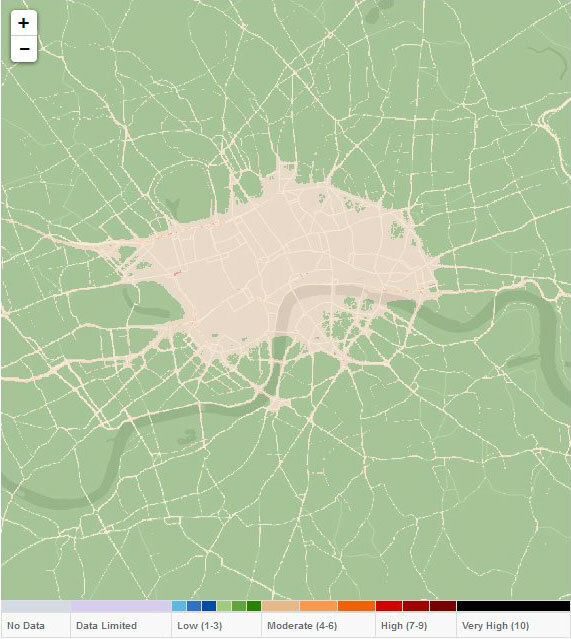 The London Air Quality Network measure levels of air pollution in every London Borough and publish the results hourly. It consists of about 100 monitors, very sensitive machines which measure small particles by weight, and gases like Nitrogen Dioxide and Ozone using spectroscopy. Professor Frank Kelly started the network in 1993, as part of the Environmental Research Group at King’s College London. At first, it was established to monitor the pollution in East London where the last remaining power stations were, and coal-burning was the main concern. So what can we do to reduce these emissions? The bus fleet is slowly being modernised with electric single-decker buses and hybrid double-deckers. The first electric black cabs can be seen on London’s streets and there are grants available to cabbies to help make that transition. But a lot of diesel and petrol vehicles are privately owned cars. Frank Kelly sees the responsibility with the motor vehicle industry itself: within the range of cars that conform to Euro 6 emission standards, there is still a large discrepancy of actual emissions, and it is hard for consumers to find out which vehicles are cleaner than others. Having said this, Kelly does recommend choosing public transport over driving no matter how clean your car is, and says he would love to one day see a car-free city: “I think it would be a much better city to live in. 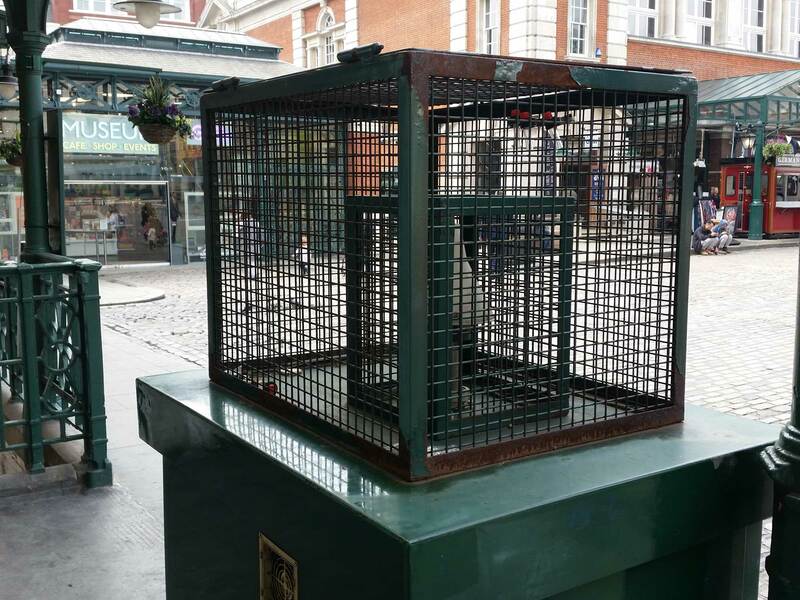 Unfortunately, I think it’s going to take a few decades for everyone to realise what the benefits of this will be. Unless you go to Copenhagen or another city which has moved in that direction, you can’t really see what the benefits are until you experience them yourself.” This would go hand in hand with improving cycling infrastructure. But Frank Kelly emphasises how important it is to gain the population’s support before continuing in this direction, again looking at Copenhagen to learn how to overcome resistance to change. 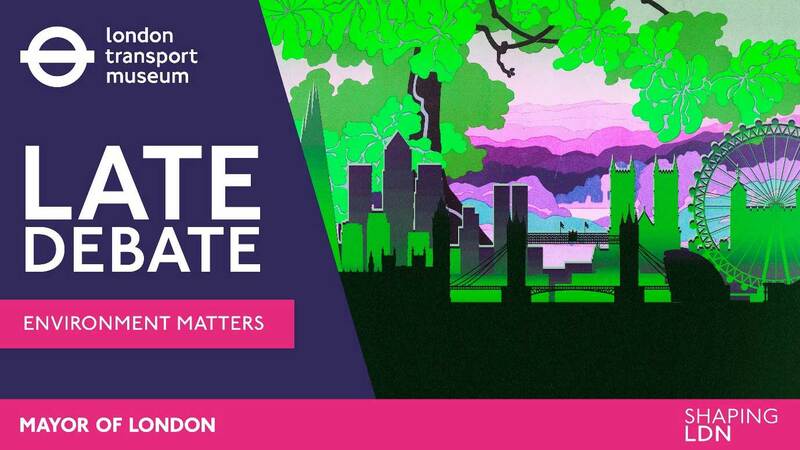 Frank Kelly is chairing a panel debate at London Transport Museum’s upcoming Late Debate: Environment matters. He’ll be joined by panellists Lilli Matson, Director of Transport Strategy at Transport for London; Samantha Heath, Chief Executive of the London Sustainability Exchange; Justin Bishop, Senior Consultant in Transport Planning at Arup, and Simon Birkett, Founder and Director of Clean Air in London. Together they’ll be debating and discussing measures such as the Ultra Low Emission Zone coming into force in April 2019, and how combined technical, regulatory, and educational approaches can provide a solution to this serious health threat. To take part in the debate and put your own questions to the panel, join the Late Debate on 7th June. In the meantime, send your thoughts, questions, opinions, or snaps of electric buses or cabs to @LTMInterchange on Twitter.